As some of you may know, I LOVE wreaths! One of my favorite Etsy shop is The Baker’s Daughter. The shop is owned by the very creative and supremely talented Nancy! 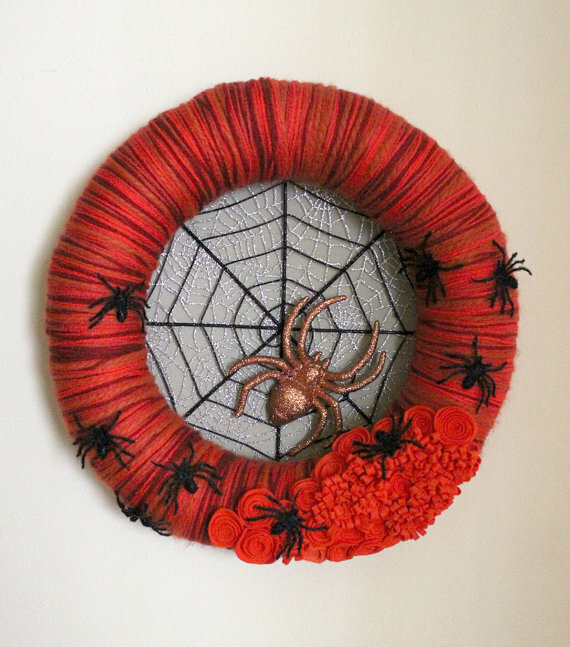 She makes beautiful yarn and felt wreaths with fun embellishments for all occasions, as well as other fun decor! And she’s added a collection for fall, winter, and holiday wreaths. Today I’m highlighting some of my favorites. Her fall and Halloween selections are so fun. My favorite is her Spider Wreath. 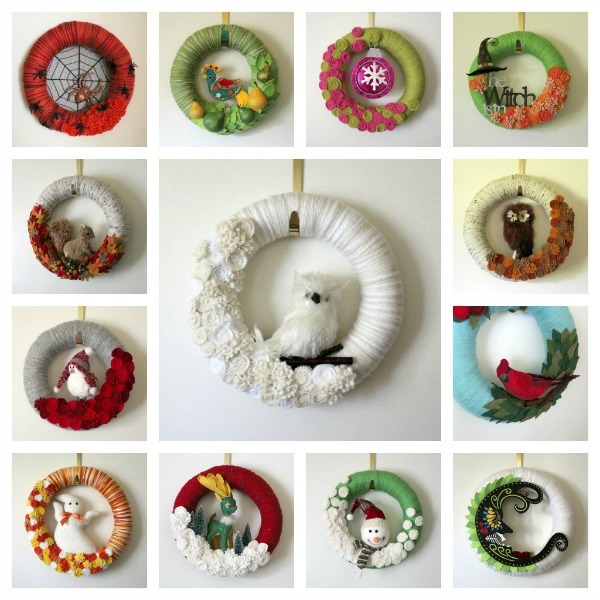 She also has a variety of wreaths for the Christmas and winter season. 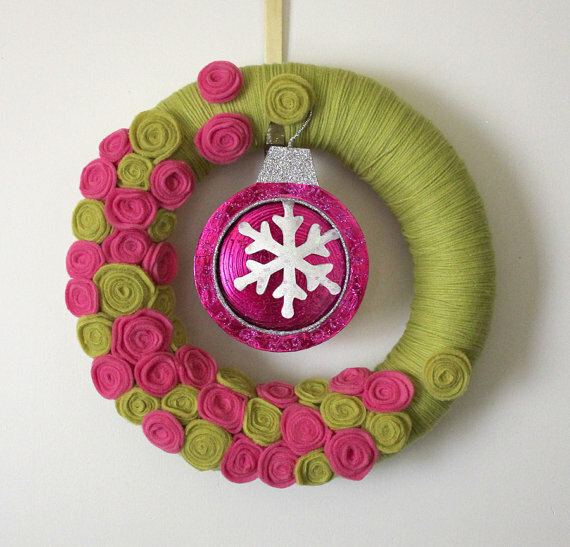 Since I love green and pink together, I was an instant fan of this ornament wreath. 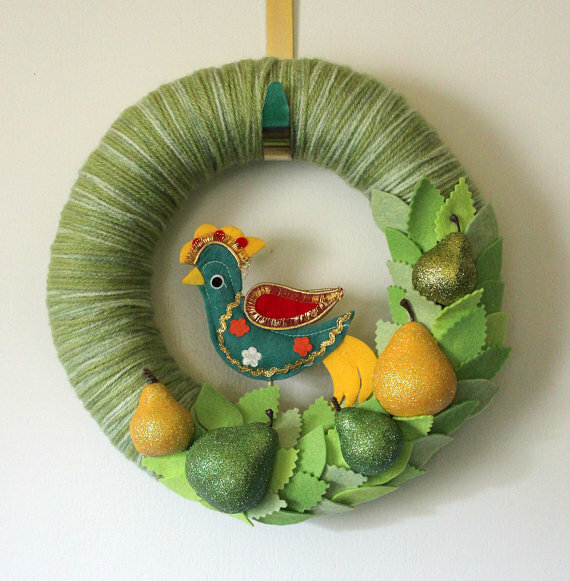 And I love this Partridge in a Pear Tree! So unique! 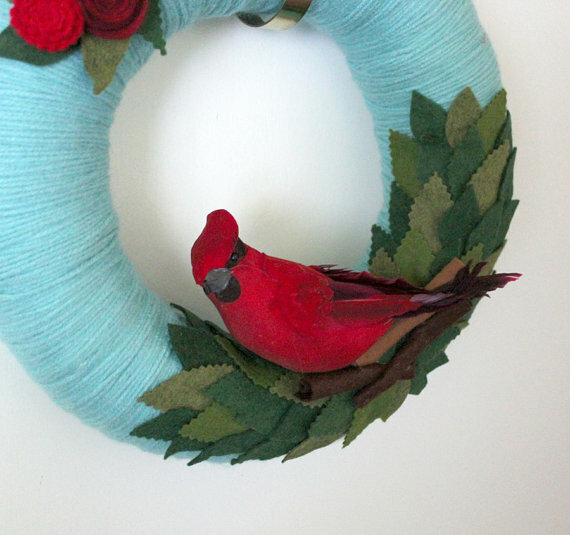 And since I love birds, especially cardinals, I just love this cardinal wreath. It would be so beautiful for Christmas or the entire winter season! Go by Nancy’s shop and place your orders today! She also takes custom orders! So if you see a design you like but wish it was a different color, or if you have a design idea of your own, just drop her a line! Also, follow The Baker’s Daughter on Facebook to see her latest updates and listings! Disclosure: The Baker’s Daughter is paid sponsor. If you’d like to advertise on Simply Sweet Home, contact me for details. Very talented, you are! love the spider web, well all of them actually – can’t pick a fave.